Besides being an agent and author, Sheree Bykofsky is also an avid poker player and poker author, with Lou Krieger, of Secrets the Pros Won’t Tell You About Winning Hold’Em Poker (Kensington), The Rules of Poker: The Ultimate Argument Settler (Kensington), and The Portable Poker Pro (Kensington). In December 2005 Sheree placed first out of 164 women who competed in the World Series of Poker Ladies’ Circuit Event at the Showboat in Atlantic City. 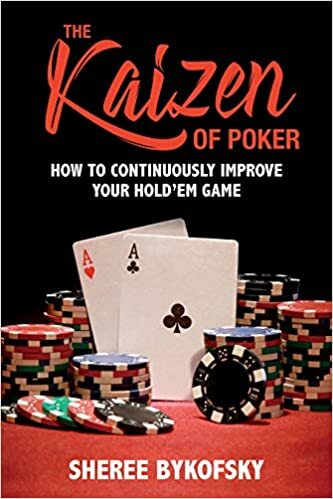 Sheree’s newest book, based on Secrets, is THE KAIZEN OF POKER about continuously improving your game at any level. It was published June 2018 by ECW Press. Watch for Sheree’s poker tips and other articles on twitter @shereebykofsky.